Educators in Houston and the Fort Bend County region can advance their expertise and careers in math education through a new doctoral program at the University of Houston. The College of Education now offers an Executive Ed.D in professional leadership – mathematics education at the Sugar Land location. 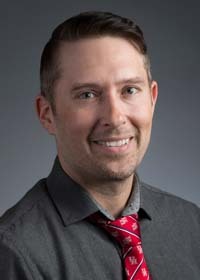 “The goal is for students to be leaders in mathematics education in the Houston area,” said Justin Burris, clinical assistant professor of math education at the College. The 51-hour program is accelerated, allowing students to graduate in two and a half years while working full time. Classes are a mix of in person and online. The first cohort of students in the math concentration started in fall 2018. 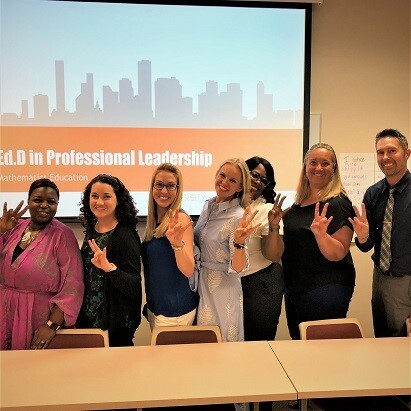 The group, expected to graduate in summer 2020, includes educators from the Fort Bend, Katy and Houston school districts and others working with teachers and aspiring teachers in a university setting. “The program is designed for practitioners of mathematics education, so a hybrid program allows the doctoral students to continue to make a difference in their schools,” Burris said. Graduates can go on to serve as instructional leaders, curriculum coordinators, consultants, curriculum writers and more – helping to improve math education in the region. The College of Education also offers an Ed.D. in professional leadership with concentrations in health science, K-12, literacy, social studies, special populations and health science. For more information on the UH College of Education’s Ed.D in professional leadership – mathematics education, contact Justin Burris or visit Graduate Admissions to apply now.